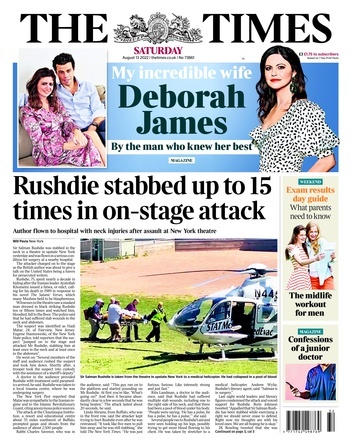 The Times offers a comprehensive and exciting view on the very best in entertainment. The Saturday Review is a weekly entertainment section that combines a comprehensive round-up of film and music releases along with our pick of the best theatre, live music, ballet, opera and exhibitions, plus Caitlin Moran’s unmissable TV column. 13,000 advertisements are placed in Entertainment every year. Entertainment runs in Times 2 every day. The Times readers are 89% more likely to have visited a museum or gallery in the past year. 1 in 2 Times readers enjoy splashing out on a meal in a restaurant. 280,000 Times readers visit the cinema more often than once a month.